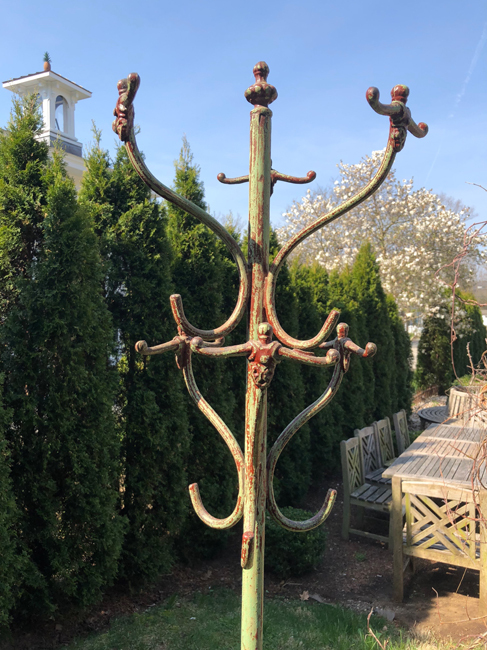 Beautiful coatracks are difficult to find these days and are so utiitarian for any front hallway or corner of an apartment. 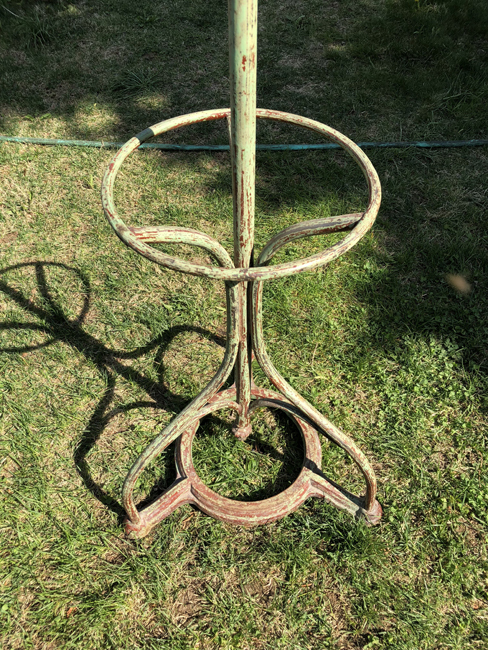 It also could be used as a unique trellis in the garden, covered in clematis or climbing roses. 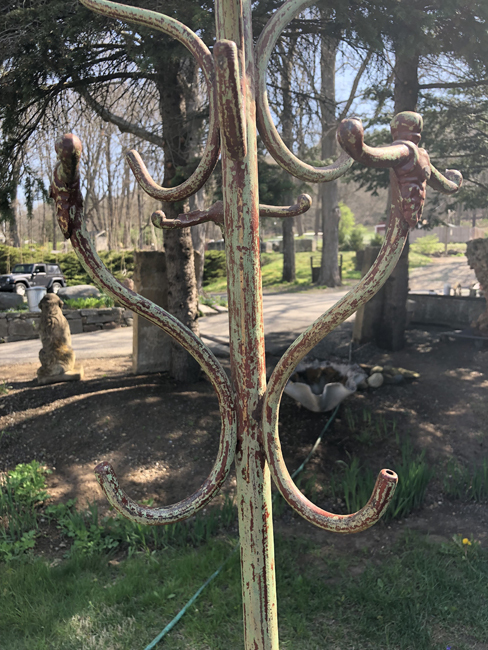 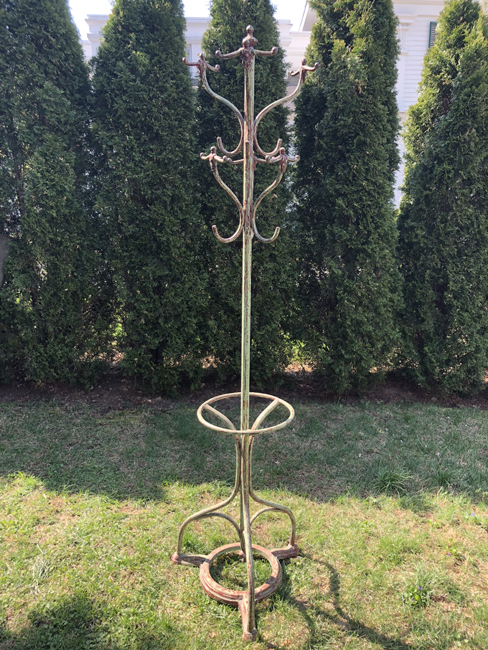 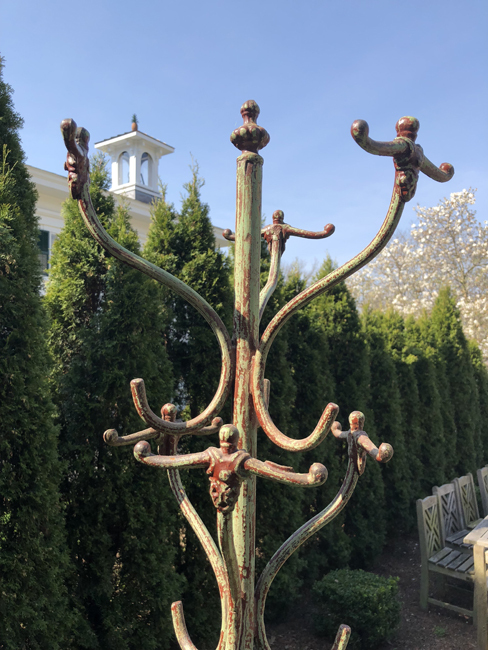 Made of heavy wrought iron and finished in a subtle sage green paint with dark red undertones and a bit of rusting, this one has a multitude of hooks on three levels, plus a ring near the bottom to hold umbrellas. 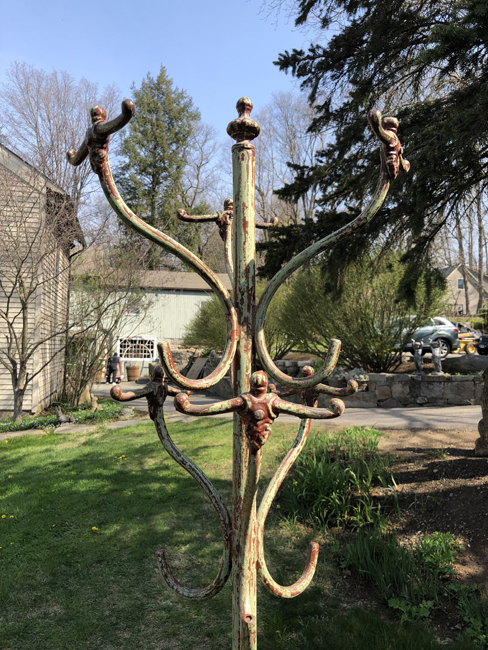 We love the worn paint as is, but it can always be refinished to your specifications for a modest up-charge.